Hey, ADTR fans! The band has something pretty cool available to anyone who purchased their newest album, Common Courtesy, back a couple weeks ago on adtr.com. 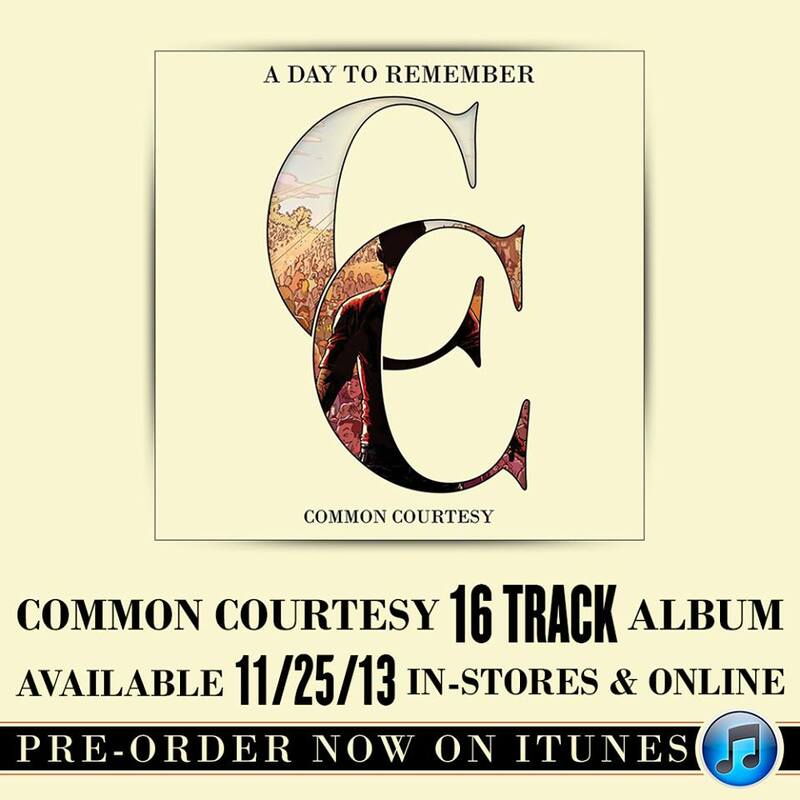 A Day To Remember will be offering anyone who purchased the 13-track album a discount on the deluxe copy of Common Courtesy, which will include 3 extra tracks! The deluxe copy is set to be released November 25, and on that day, according to a post on the band’s Facebook page, anyone who purchased the album will get the 3 extra tracks as a free download and your discount code will be provided for you to purchase the 16-track physical album. Pre-Orders are available now here.